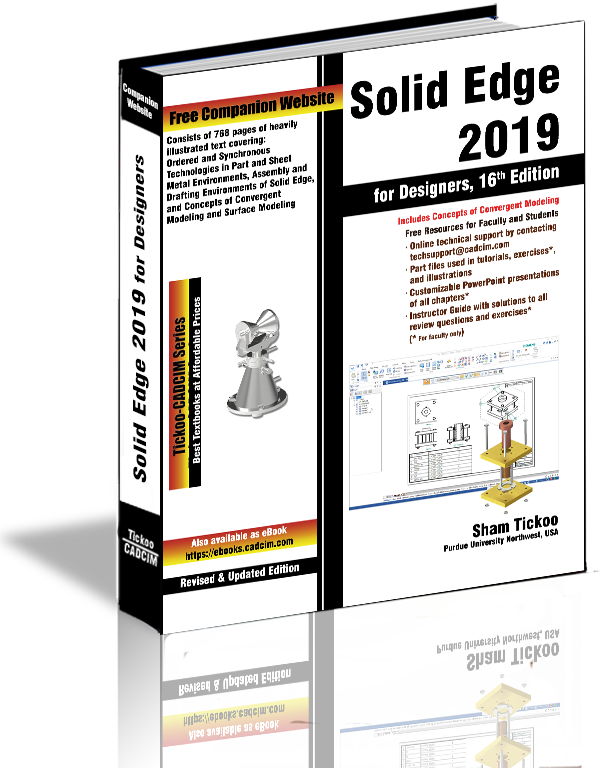 Solid Edge 2019 for Designers textbook introduces the readers to Solid Edge 2019, one of the world's leading parametric solid modeling packages. This book consists of 15 chapters structured in a pedagogical sequence, covering the Part, Assembly, Drafting, and Sheet Metal environments of Solid Edge 2019. Both Synchronous and Ordered environments are discussed throughout this book. In this textbook, 3D Sketching is also discussed in both Synchronous and Ordered environments. 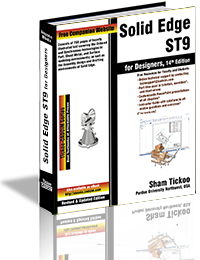 3D Sketching combines the speed and flexibility of modeling with precise control on dimension driven designs, thereby providing tremendous productivity gains over traditional methods. Additionally, in this textbook, the author emphasizes on the solid modeling and editing techniques that enhance the productivity and efficiency of the users. Also, chapters are provided with tutorials that are created using the commands discussed in the chapter. This approach allows the users to use this book initially as a learning tool and then as a reference material. Consists of 15 chapters that are organized in a pedagogical sequence. 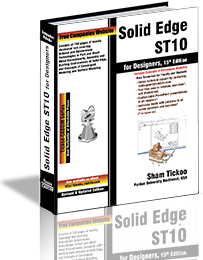 Comprehensive coverage of Solid Edge 2019 concepts and techniques. 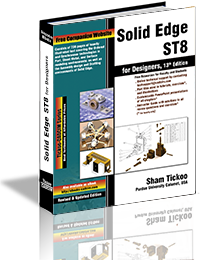 Tutorial approach to explain the concepts of Solid Edge 2019. 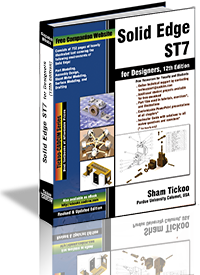 More than 50 real-world mechanical engineering designs as tutorials, 45 as exercises, and projects with step-by-step explanation.